What Exactly Is A Culture Change? If you believe the hype, you’d think it was trimming off a beard or having some of the kids change their number was part of the Lou Lamoriello “culture change”. The fact is… despite hearty words in regard to losing their best offensive player, Lou has yet to answer anything tangibly with a trade or surefire improvement. 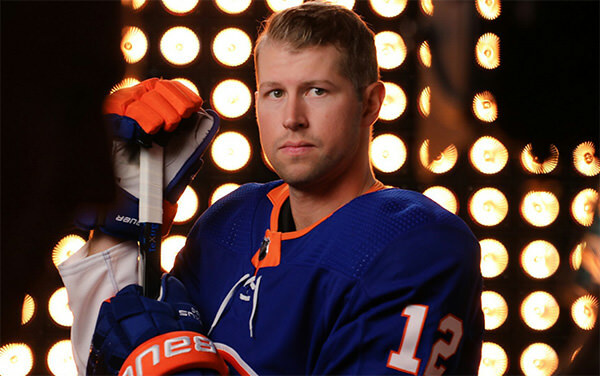 In fact, the biggest loss isn't JT, but in losing Calvin de Haan, who was defensively sound for a very defensively unsound team. So hot words citing achievement, though factually correct, might play off those who think Lou is a miracle worker and the team will compete just because he is there… but they ring hollow when we look at this summer signings. Neither have been replaced. If we step back ait and look deeper, we would see that Lou is not slagging Tavares but trying to set down bedrock that TEAM ACHIEVEMENT is the only thing that matters for THIS TEAM. Lou personally cites accountability and his willingness to listen as his own team culture foundation. For Lou, the team culture right now is more important than the skill. Something that might disturb a few noting the non-analytical signings and training camp tryout. To naysayers, they will look at Lou’s team choices so far as feel he is antiquated. An old-NHL dinosaur. The naysayers might have a point. The Toronto Maple Leafs quietly are dismantling anything and everything that Lou put in place. This isn’t by chance or accident. Lou has not made any true improvement on the roster. HOWEVER, he did bring in the BEST coach available and brought in the top staff available to work with that roster. For now, whether the naysayers are right or not, one can say the team is saying all the right things. Everyone knows they are the underdog. Everyone knows that they need to show Lou and Barry all they have on the ice. The players are excited and willing to step up to the challenge. These are well and good. We will need to see how much that energy goes forward into the season before some of those gaps that remain start to hurt. What happens then? On paper, this is a team that might struggle to make 85-90 points this coming season. Even if they start out hot out the gate. But culture is creating an ongoing environment and team identity. That is in full effect. The only way to see who are THESE New York Islanders is when they hit the ice. Training camp begins. Whether you are a naysayer or onboard this vision… strap in. It will be a fascinating camp and season, to say the least. Expect the Isles players to try to show the new management and coach who they are. This will be a highly competitive training camp. I am curious as to what fans think this team will achieve in point this season BEFORE camp begins. I say 85 points. What say you?? ?